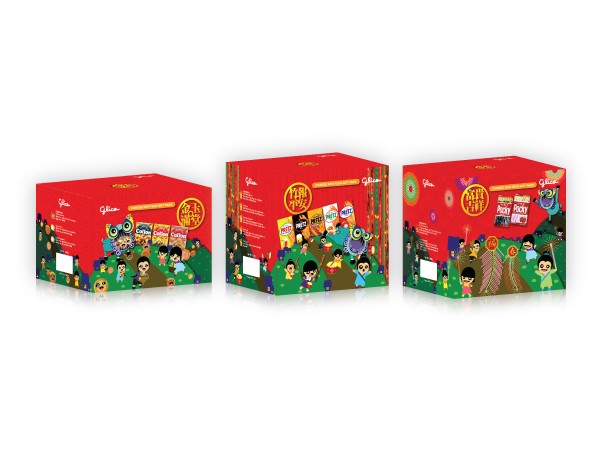 Collaborative work with Glico Thailand to launch Chinese New Year festive gift packs in Singapore. The festive packs tell an old Chinese folk tales, the Nian monster, in a series. Collon: Nian monster invading the village, forcing the villagers to run for their life with their valuables. Pretz: Villagers realised that Nian monster is afraid of loud noises. So they raise the Pretz sticks to beat the drums for noise, chasing Nian away. Pocky: Celebrating the coming peaceful year. Copyright © 2009-2019 Low Lay Hiang. All Rights Reserved.